The Church schism in Ukraine is a threat to the entire nation’s life, Patriarch of Moscow and All Russia Kirill said on October 8 after a celebratory prayer service at the Troitse-Sergiyeva Lavra to commemorate the Blessed Sergius of Radonezh, RIA Novosti reports. During the prayer service, the Patriarch offered a prayer for the Blessed Sergius to help stop the spread of the schism in the Universal Orthodox Church, especially in places where this schism threatens “the nation’s life,” meaning “fraternal Ukraine.” He also urged all the church members to pray for the unity of the Orthodox Church, and he expressed hope that these prayers would have an effect. The President of Ukraine Pyotr Poroshenko asked the Ecumenical Patriarch of Constantinople Bartholomew to grant autocephality to the Orthodox Church of Ukraine. The Ukrainian Orthodox Church of the Moscow Patriarchate, the only canonically recognized Orthodox Church in Ukraine, did not ask anyone for autocephality. In response to Poroshenko’s request, Patriarch Bartholomew initiated the process of granting autocephality, and he sent two his exarchs to Ukraine. The Russian Orthodox Church (ROC) very negatively reacted to Bartholomew’s moves, accusing him of anti-canonical actions, interference with the ROC’s internal affairs, and intention to split the Orthodox worldwide. A number of hierarchs of local orthodox churches also expressed discontent over Bartholomew’s actions, supporting the ROC. On September 14, the ROC Synod decided to discontinue its participation in structures led by the Patriarch of Constantinople and to stop praying for Patriarch Bartholomew during ROC church services. 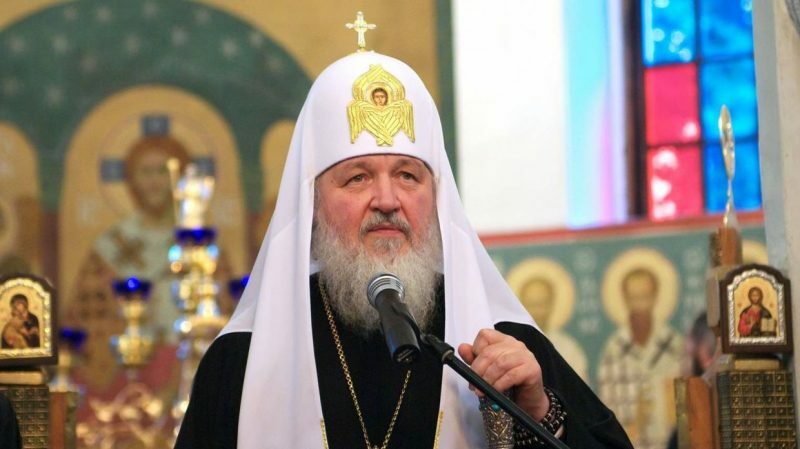 On October 2, Patriarch Kirill called all the primates of the orthodox churches to discuss the situation in Ukraine on a pan-orthodox level. This entry was posted in News from Russia and tagged Metaphysical War, Russia, Russian Orthodox Church, Ukraine, Ukrainian Orthodox Church (Moscow Patriarchate). Bookmark the permalink.